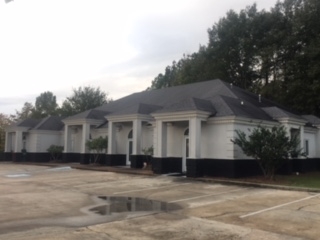 10,000 SF total Can be leased to 2500, 5000, 7500 or 10,000 SF users 2 private restrooms in each 2500 / SF section Rental rates shall be $19.00 – $23.00 / SF depending on amount of space leased and lease term. Best-priced new building off Highland Colony! Great parking ratio; 5 spaces for each 1,000 SF in building! Landlord pays taxes, insurance, landscaping and all maintenance. I was searching for a Property and found this listing (MLS® #306454). Please send me more information regarding 230 Trace Colony Parkway, Ridgeland, Mississippi, 39157. Thank you! I'd like to request a showing of 230 Trace Colony Parkway, Ridgeland, Mississippi, 39157 (MLS® #306454). Thank you!